My recollection of the 2008 New Delhi Auto Expo is as vivid as ever. This was a time before I was one of the chosen few with the best job in the world. I was one of the millions of starry-eyed spectators who travelled half the length of the country to feast my eyes on the best exponents of man's greatest creation - the automobile. But most of all, I remember giving in to curiosity over prudence, pushing my way into one particularly overflowing enclosure at the massive exhibit at the Pragati Maidan in New Delhi. The entire world was about to witness a determined Ratan Tata deliver on his impossible promise of giving the world the One Lakh Rupee Car. And so he did amid great furore, adulation and a lathi charge by the police to calm the frenzied public, that I narrowly avoided. Seven years since, the Nano has been consigned to an underwhelming fate to say the least. From being an automotive icon, it became a lesson in marketing don't's. 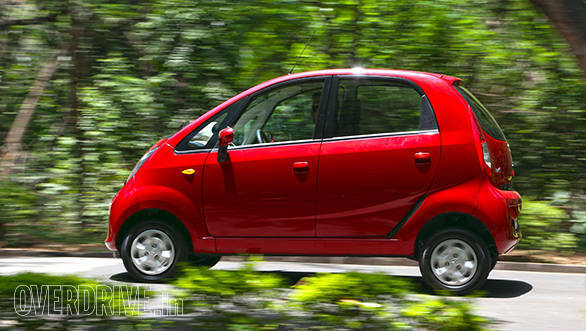 But now, as part of Tata's newfound uprising with its Horizonext philosophy, Tata have wiped the slate clean and built a new Nano - the GenX Nano. Upon arrival at Tata's Lake House facility in Pune, I saw the new Nano in a gleaming red colour and I was tempted to think it's not really a significant design change. The basic silhouette hasn't really changed. Neither have the dimensions. But I already knew there was much more. In line with Tata's new Designext approach, the front and rear bumpers have been redesigned. The cute smiley front has been replaced by a wide grin. The headlights now get the smoked treatment that can be seen in the Bolt as well. The space under the hood in the front remains unusable thanks to the spare wheel, but that doesn't matter any more, because now the Nano comes with an open-able hatch and a boot. 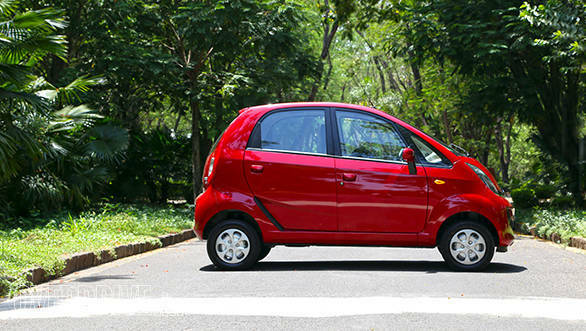 But what you need to realise is that the Nano is a rear engined car so don't expect to use it to move apartments. 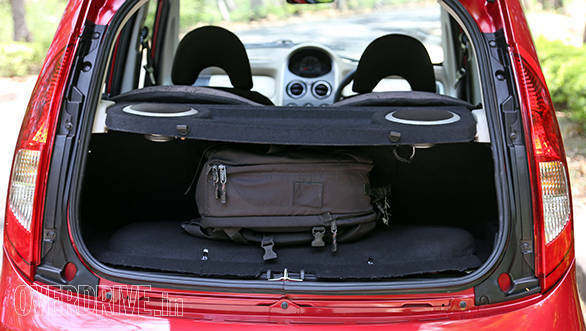 The rear storage space is a modest 110 litres  enough for small handbags. Now, because the bolted rear hatch replaces the welded component, Tata have had to strengthen the body further and that has added about 35kg to the kerb weight. But that also means slightly better NVH and more energy absorbing capability and hence, safety. The same two-cylinder 624cc petrol engine continues to churn out 38PS of max power and 51Nm of max torque, mated to a 4-speed manual transmission. But Tata have added something to the powertrain that changes the game altogether, and I'm not talking about an added cooling fan at the back for better heat management. 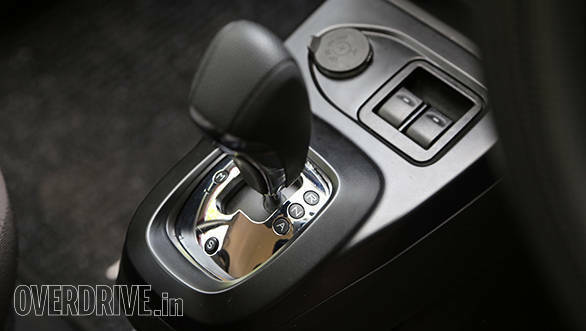 It's the Nano's piece de resistance  an optional Automated Manual Transmission! This makes the Nano the most affordable clutch-pedal-less car in the world. It though is not the same one that you see on the Zest. Interestingly, the Zest uses a third generation Magneti Marelli AMT system that has been in use in Europe for a while now, while the Nano gets the new fourth gen. The Nano's AMT system isn't devoid of the jerks while shifting gears that AMTs generally have. There is also a bit of lag between the input and the clutch bite thanks to a slow responding TCU. 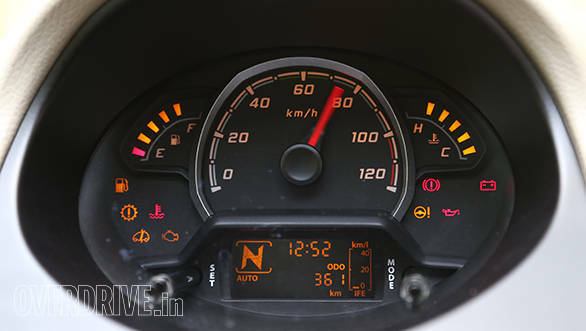 But once the car gathers momentum, the Nano's AMT is reasonably responsive and definitely much smoother than the one on the Zest. Performance wise it takes 32s to hit the ton which is 2.8 seconds quicker than the manual Nano. You also get an added creep functionality on the Nano's AMT which makes it similar in operation to conventional automatics  as you ease off the brake pedal, the clutch begins engaging and the car inches forward  ideal for bumper to bumper traffic and tight parking spots. And it's even got a Sports mode. However, all the S button does is that it lets the revs build up and delays the upshifts so that you can get maximum power from the engine. There's more. Because the AMT is actually a manual, its fuel efficiency is similar. The Nano with the AMT has a claimed figure of 21.9kmpl. We tested the car and got an overall mileage of 19.7kmpl, down by 1.1kmpl over the manual which isn't bad at all considering it's an automatic. And since that puny 15-litre fuel tank has been replaced with a 24-litre one, you can expect a range of about 470km on a full tank. 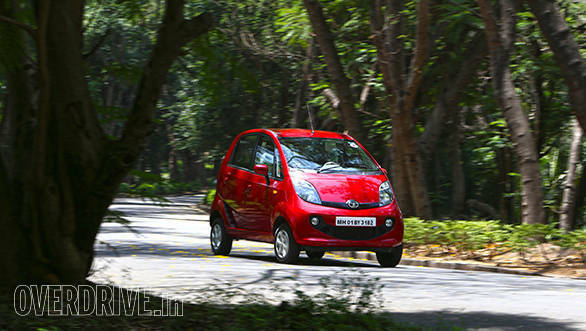 The AMT mechanism adds 30kg more to the Nano, and reduces about 16 litres of boot space compared with the manual. Neither the ride quality nor the handling of the Tata GenX Nano has changed noticeably. The ZF power assisted steering system is now standard and uses a brushless motor for silent operation. The Nano's 180mm ground clearance could have been lowered to help reduce the centre of gravity and thereby body roll  which does exist despite the anti-roll bars. But then the Nano isn't a car that you'll buy for its dynamic abilities. It's driving in city traffic that will best serve its purpose. With all the added virtues, I do feel the GenX Nano has the ability to transcend the baggage of its past and forge the success it was meant to have. I remember the gleaming eyes that stared at the 2008 prototype, the voices that whispered their admiration and anxiety. After all this wasn't just any other car - it announced India's automotive industry to the world.